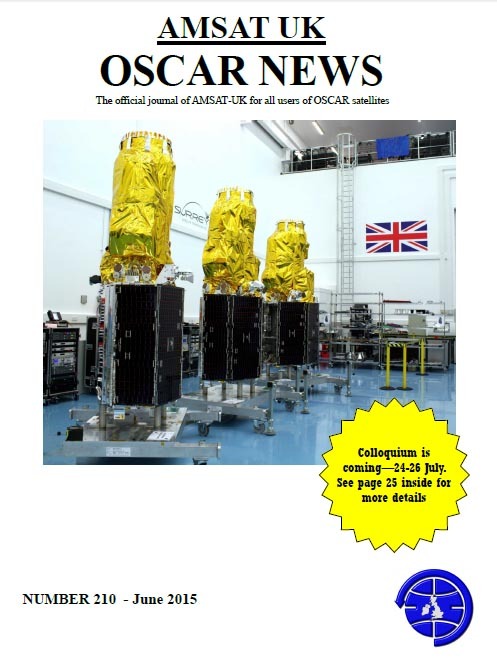 Issue 210 of the AMSAT-UK amateur radio satellite publication OSCAR News was released on June 4, 2015. E-members can download it here. The paper edition is usually posted 2-3 weeks after publication of the electronic issue.